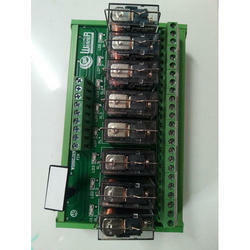 We are a leading Manufacturer of werner make 21 series relays & sockets and werner 8 channel 1c/o relay board with common from Chennai, India. performance electrical switches, designed and manufactured to highest international industry standards. full load make WERNER Relays your best choice of all. satisfying you're every need and design requirement. Our interface modules fulfill the most varied tasks.Whether in production engineering, for the electricalequipping of machines or in control engineering forpower distribution, building automation and materialsprocessing - the main aim is to guarantee the exchangeof signals between the process peripherals and the higherlevel control systems. 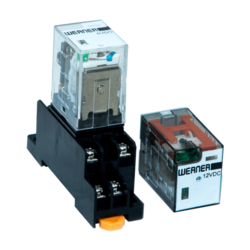 WERNER Relay Modules provide high density packagingof miniature general purpose relays, Double Pole DoubleThrow (2 FormC) contact configurations and low currentAC and DC coils. 6V 150 16 Approx. 0.90 110% max. Looking for Werner Electric ?